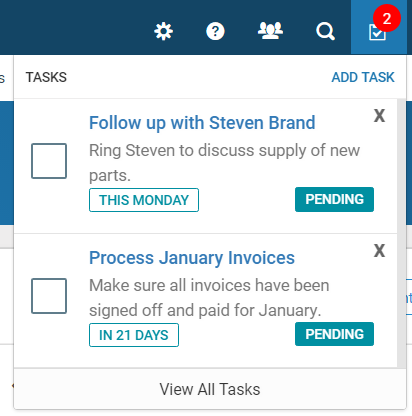 Tasks that have been added to the system will be displayed in the following areas. Selecting a task from any of the available lists will open the task in a window as below. 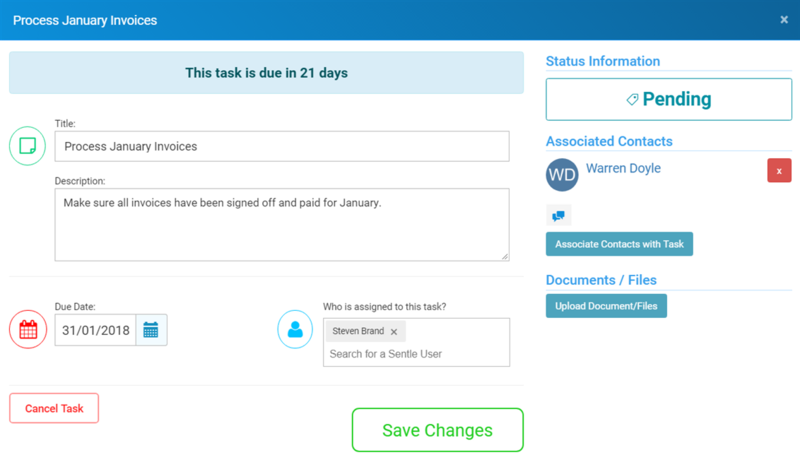 From here you can edit or make changes to the details of the task such as the title and description or the task’s status. 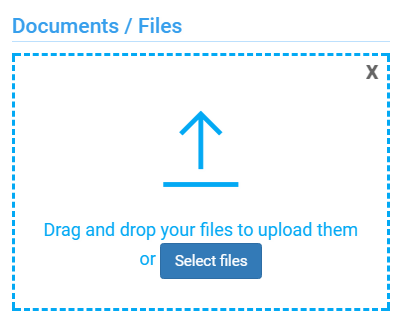 You are able to attach specific files to tasks if required by using the ‘Upload Document/Files’ button. Once selected, a document upload window will appear as below. 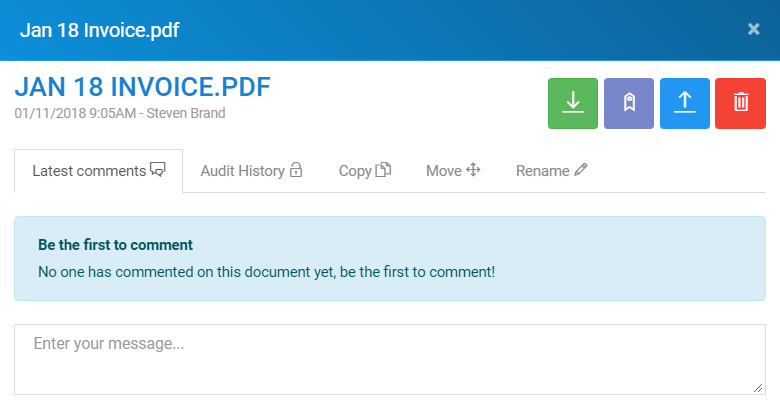 You are now able to drag and drop the required document or use the 'select files' button to search for the required file. When a document has been attached to a task it will be shown on the task as below. 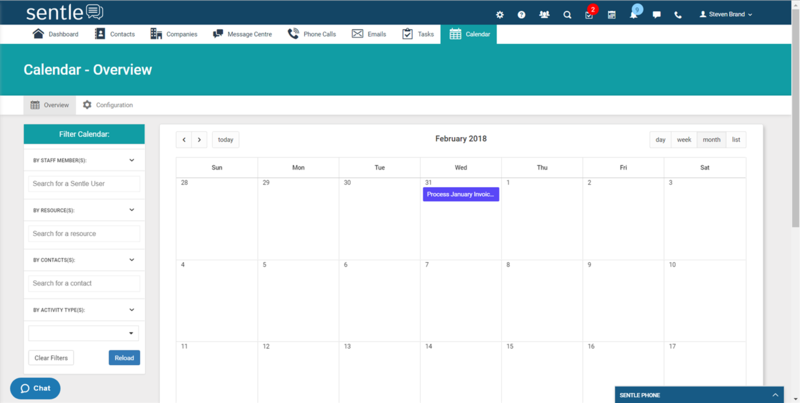 You can manage your documents in the same manner as the document storage area when working with contacts or companies. Clicking on the document in the list will load the following window. When you are happy that a task has been completed you can close them by clicking the in check box as shown here. 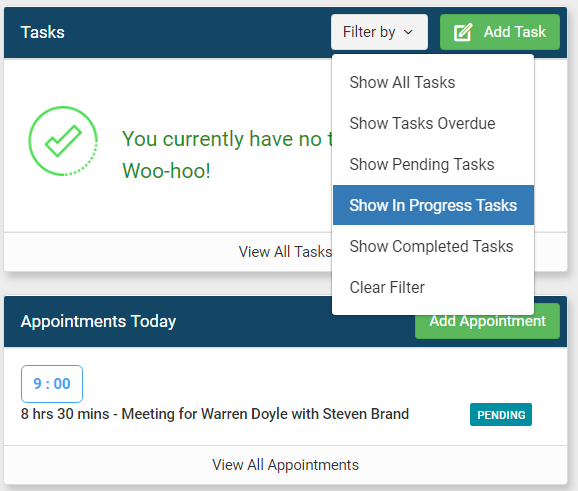 You are able to filter which tasks are in your view by using the 'filter' drop down menu.